Round Hill Fence & Security, Inc. Comment: i need an estimate electronic fence broken, underground. Comment: 48" max height, black powder coated aluminum. back up to golf course and have strict guidelines. Rear and side only. Comment: Need 168 ft woven wire 4 ft fence to containDog. One 3ft gate and one 6 ft gate. Fence will go from house and connect to an existing fence. Comment: We want an enclosed fence for our german shepherd dog so he doesn't chase cars. Also want a gate. It will be in a flat surface side yard next to the barn. Comment: 10+yr old cedar lattice fence around pool. Need one or more panels replaced,possibly more or some repairs. Also estimate on an aluminum section over stone wall. 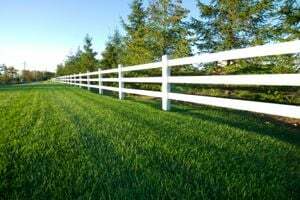 Middlebury Fence Contractors are rated 4.67 out of 5 based on 28 reviews of 5 pros. Not Looking for Fences Contractors in Middlebury, VT?